We are so fortunate that Northeast Ohio has a vast array of parks and trails to explore! However, if you are using a stroller, wheelchair or bike you are probably looking for an easy terrain. You're in luck because we’ve compiled a list of paved walking trails and paved bike trails to make it easy for you to get out and enjoy some fresh air and sunshine. As usual, prior to making the trip, please use the website links and contact information provided to ensure that the trail is open. Enjoy! Know of any other paved trails? Send us an email with the details and we will them added. Thanks! A paved rail-trail extending 44 miles through Ashtabula and Trumbull. There are 27 miles in Astabula County from the city of Ashtabula southward to the county line where it continues for 17 miles into Trumbull County. 9.3 miles of paved trail for activities like cycling, walking and in-line skating. Motorized vehicles are prohibited. The bikeway spans the entire length of Cleveland’s 17-mile Lake Erie shoreline from the City’s eastern border with Euclid and it’s western border with Lakewood. 2.5 miles of paved trail for activities like cycling, walking and in-line skating. Motorized vehicles are prohibited. 3.9 miles of paved trail for activities like cycling, walking and in-line skating. Motorized vehicles are prohibited. The bikeway runs parallel to MLK Drive for 3.74 miles through Cleveland’s Cultural Gardens in Rockefeller Park. 3.3 miles of paved trail for activities like cycling, walking and inline skating. Motorized vehicles are prohibited. The Lake to Lakes Trail connects Lake Erie to the Shaker Lakes through Rockefeller Park and University Circle. The paved trail runs along an old rail corridor through the Slavic Village Neighborhood. The trail begins on E. 49th Street just north of Fleet Ave and terminates near the Garfield MetroParks Reservation. The trail ends on the south at the tallest waterfall in Cuyahoga County at Mill Creek where it meets the trail to Garfield Reservation. 4.2 miles of paved trail for activities like cycling, walking and in-line skating. Motorized vehicles are prohibited. 7.2 miles of paved trail for activities like cycling, walking and in-line skating. Motorized vehicles are prohibited. 13.6 miles of paved trail for activities like cycling, walking and in-line skating. Motorized vehicles are prohibited. Paved trail for activities like cycling, walking and in-line skating. Motorized vehicles are prohibited. The .3 mile paved Evergreen Trail loops through the beech woods and conifer plantation and the .2 mile Griswold Creek Trail takes visitors across the stream and through the wetlands. .22-mile Glacier Trail leads from the parking lot to the boardwalk and observation deck overlooking Lake Kelso. 1 mile Planetary Trail with interactive pods representing each planet, a .25 mile Weather Trail with interactive stations representing ways to study weather, life-sized corner stones of the Great Pyramid of Giza, earthern mounds, henge stones, an entrance drive and parking lot, and 1.85 mile Woodland Trail. Formerly operated as Orchard Hills Golf Course, the .15 mile Sedge, .6 mile Cricket and .75 mile Harvest trails are paved and utilize portions of former cart paths. .37 mile Pine Ridge Trail, located just off the parking and shelter area, provides a fully accessible route through forest and alongside nearby wetlands. .4 mile Woodcock Trail, a short loop trail, has a deck overlooking an abandoned oxbow of the Chagrin River. Two paved trails, Brambleside Loop Trail (.9 miles) and Reeves Trail (.3 miles). A picnic pavilion, new playground, baseball/softball field, restrooms, soccer, fishing pond with barrier-free dock, five tennis courts, two basketball courts, water spraypark, and 1-1/2 mile paved fitness course. Two paved trails, Cardinal Loop (.46 miles) Patriots Loop Trail (.36 miles) Lookout Trail (.14 miles) and Mallard Point Trail (.14 miles). 1.5 mile asphalt trail loops past a small cattail marsh, into the Beaver Creek Valley, and through a pine forest. The trail can be accessed from the main parking lot or from the neighborhood trailhead on North Main Street. 5 1/2 miles of paved all-purpose trail that follows the Black River through its meanderings from Elyria to Lorain, spanning four city jurisdictions altogether. The two mile asphalt trail winds through the forest allowing visitors to explore the flora and fauna. The trail travels from the Avon Lake Public Library to Belle Road Park and has a southern loop that comes back to Belle Road Park. Visitors can also access the trail just east of the Avon Lake Public Library on Electric Boulevard, and on side roads including Woodstock St, Armour St. and Hunter St. at Belle Road Park. The trail is open to non-motorized traffic of all kinds (except skateboards), including walkers, runners, bicyclers, in-line skaters and cross-country skiers. The trail’s long 13 miles straight-aways pass through a variety of countryside including farm, field and forest, and numerous intersections serve as convenient places to jump on or off the trail. 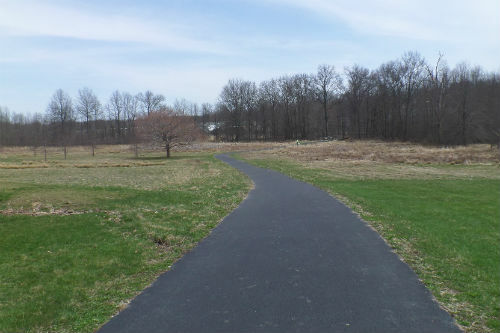 Over 4 miles of paved and crushed stone trails meander through the Wellington Reservation’s grassland fields and wetland habitats. Each loop highlights a different section of the park providing visitors with a variety of vistas across the lake, from atop an elevated observation mound, and throughout the intermittent wetlands in the grassland prairies. Albert E. Davies Wetland Trail – This barrier-free, 1/4-mile boardwalk leads visitors through the Newport Wetlands to an observation deck overlooking several deep water pools. East Cohasset Hike & Bike Trail – This 1.5-mile asphalt surface drive is closed to motorized traffic and provides joggers, walkers, and bikers a scenic route above Lake Cohasset. East Newport Hike & Bike Trail – This one-way road is open to motorized traffic and has a 1.75-mile designated hike/bike lane. Views of Lake Newport, Newport Wetlands, and Daffodil Meadow will be enjoyed along this trail. East Golf Hike & Bike Trail – The 1.5-mile East Golf Hike & Bike Trail runs from Route 224 to Shields Rd. and provides an asphalt surface for joggers, walkers, bikers, skaters, and in the snowy season—cross country skiers. Parking lots are located at each end of the trail and a pedestrian bridge across Mill Creek connects the trail with Golf Course amenities and additional parking. Restrooms, a drinking fountain, and an information kiosk are located on the trail. 11-mile paved trail offers a variety of scenery for hikers, skaters, and bicyclists. The MetroParks Bikeway runs from Western Reserve Road in Canfield Township to the Mahoning County/Trumbull County Line in Austintown Township. Inclusive playground, a dog park and a fun 1 mile paved storywalk trail. 2.75 miles paved. There is a parking lot located on the south side of Chippewa Road, approximately a quarter-mile east of Lake Road, that provides access to the rail trail. A .5-mile paved all-purpose trail leads to a picnic shelter, around the back of the sledding hill, to the restrooms, to the bridge that leads to the hiking trail, and to the fishing area. 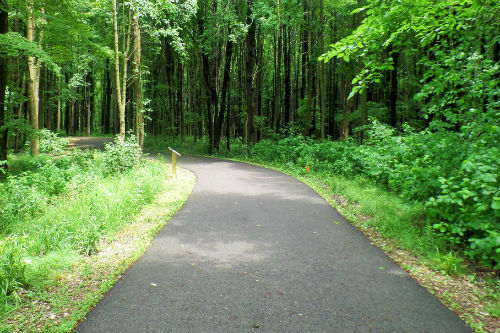 The 1.63-mile Lake Medina Trail is an asphalt path that follows the willows and sycamores along the West Branch of the Rocky River and connects to the city of Medina’s paved trail along Reagan Parkway. A 7.07 mile multipurpose trail from Ravenna to Kent and beyond. There are seven nature trails at the preserve most are under a half mile each. .5 mile boardwalk through the woods. Highlights along this trail are the pond observation deck, barn with farm animals to pet, and view of the herb garden. The 4.58 mile limestone surface trail begins at the First Christian Church (FCC) and continues south to Cenfield Street. 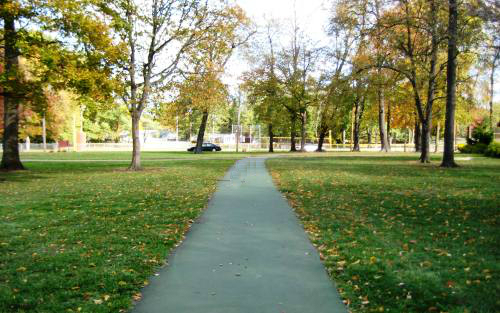 1.1 mile paved walking track around the park, playground, lake and ball fields. 0.45-mile trail following the Sandy Creek from E. Lincoln Way to Stadium St. The trail takes you to the shelters, playground equipment, and tennis courts in Municipal Park and to Minerva High School. 5.74 mile limestone surface trail. This scenic route follows along the western edge of the Tuscarawas River near the Ohio & Erie Canal and parallels an active railroad from Canal Fulton to Jackson Township. A limestone trail which loops around the 13-acre Petros Lake. Large pond with tons of ducks, large playground with a lot of shade, and a one mile paved walking trail. Park features over 700 acres of rolling meadows, marshes, pine and deciduous woods surrounding a 40-room house. Paved trail is .35 miles. 8-miles between Bottoms Park in Massillon and Dalton in Wayne County, ending just north of Rt. 30. The Sippo Valley Trail also connects to the Towpath Trail at the west side of Tremont Ave. in Massillon. An asphalt trail surface transitions to limestone between Skyland Ave. and Deerfield Ave. The flat, gentle grades parallel Sippo Creek for much of the route. 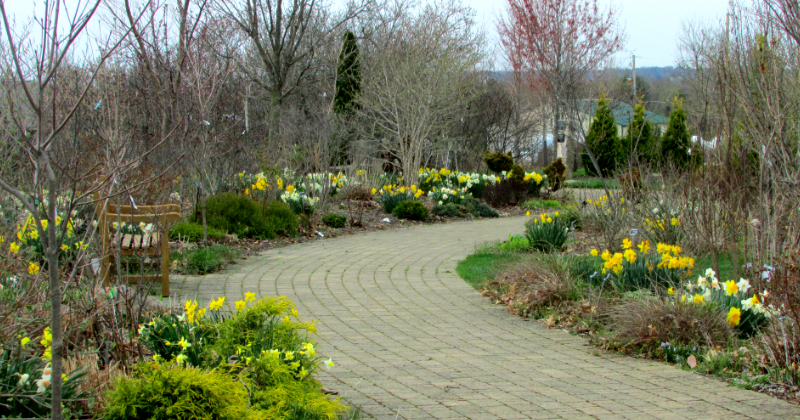 Pass several of Canton’s biggest tourist attractions as you walk or bike along this limestone trail connecting West Park, the former Mother Goose Land, Waterworks Park, Monument Park, Stadium Park, Ink Park, and Covered Bridge Park. The trail follows the West Branch of the Nimishillen Creek. .29 mile track around the pond, where people can also fish. 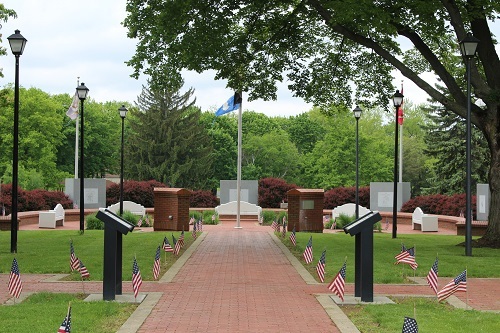 Home to the Stark County Veteran's memorial. The memorial is open everyday from dawn to dusk, and it is free to enter. Trail surface is asphalt and the grade is flat. There is a slight grade after 1/4 mile, where participants have to cross a very quiet residential street to continue on the trail. 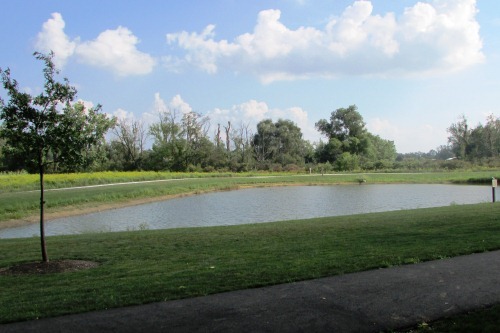 60 acre park contains a large playground, nature center, a paved walking trail and more. The surface of the 6.2 mile Freedom Trail is asphalt and the grade is flat. The flat, easy and paved Maple Loop Trail begins near the parking lot and travels through the beech-maple woods. A paved .35-mile trail that loops near the parking lot. Trail surface is mostly asphalt and the grade is flat. Paved walking trail over covered bridges, past boat docks, picnic shelters and throughout the entire park. 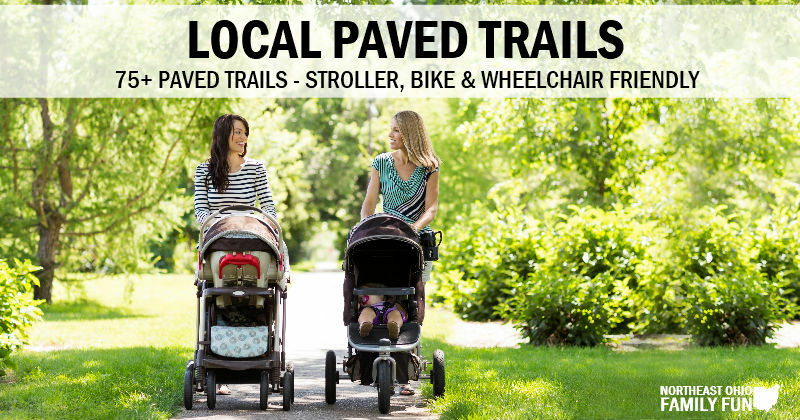 Know of any other stroller friendly walking trails? 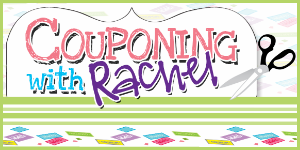 Leave a comment below or send us an email and we will get it added. Thanks! Jennifer Bailey is a recent corporate communications professional turned stay-at-home-mom to a 20-month old son. 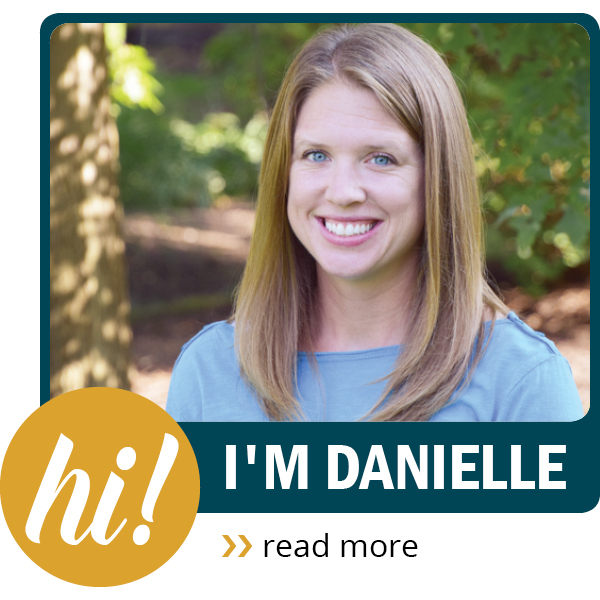 After a move from North Carolina back to her childhood hometown of Hudson, Jennifer, her husband, and their son are eagerly re-exploring all the great things Northeast Ohio has to offer.